KEEPIN’ IT COZY. 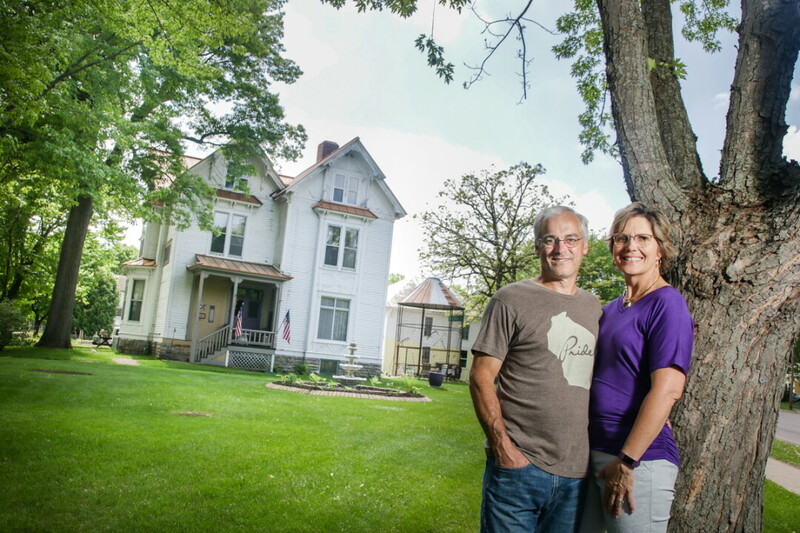 Husband-and-wife team Keith and Mary Hutchinson have recently opened The Brickyard B&B, a bed and breakfast inside an 1887 Victorian home in Chippewa Falls. The Brickyard B&B, 305 Coleman St. in Chippewa Falls, is now open for business. 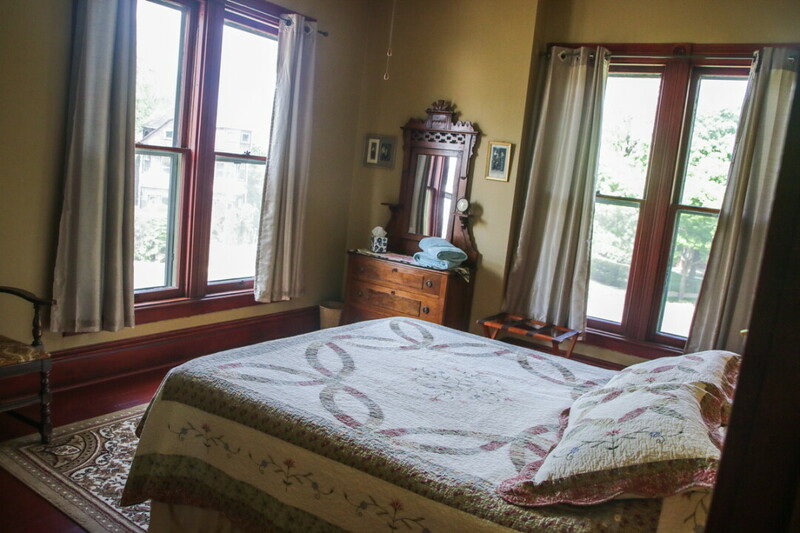 Husband-and-wife team Keith and Mary Hutchinson have spent the last six years remodeling the 1887 Victorian home, and in doing so have realized a decades-long dream of owning and operating a Victorian bed-and-breakfast. The Brickyard B&B, built as a single-family home, once belonged to Jean Baptist and Demarice Theriault, who owned a saloon and brickyard in Chippewa Falls. When the Hutchinsons purchased the home, it had been converted into an apartment building following a fire in the 1930s. The duo had to convert the building back into a single-family home, renovating nearly everything from the basement to the third floor. Renovations to the home included electrical work, plumbing, insulation, two furnace/AC systems, four new bathrooms, and two gas fireplaces with the original faux marble slate surrounds. Hutchinson said that the home may even be grander now than it originally was, and that it has many special features. “It has a large, almost pristine grand staircase,” he said. “Every room in the house is rather large compared to a modern home. The woodwork is beautiful.” The pie-shaped half-acre lot features a drive-through driveway and the original two-story carriage house, as well as a large garden that sports vegetables, fruits, and flowers. The Brickyard B&B offers nightly rates for guests on vacation and offers long-term rental for guests in town on business trips. They intend to use the Brickyard B&B as a destination for bridal showers, weddings, graduations, club meetings, and family gatherings. Additionally, they plan to offer the carriage house for larger group gatherings and functions. 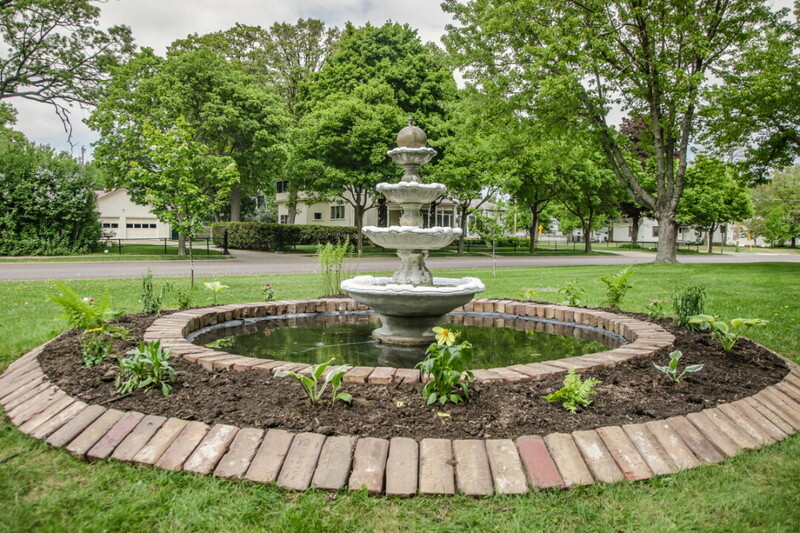 The first Brickyard B&B wedding will be their daughter’s wedding this summer.